The Panasonic TZ60, battery and SD card in the pictures are not included. A rubber handle on the top,easy and comfortable to carry. 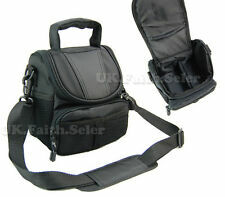 It can be attached through belt loop,or by shoulder strap.It is light weight, durable and protective. Where we collect an item from you, we reserve the right to recover the costs of collection from you. Two side mash pocket. Color: Black. Panasonic Lumix GX8 Case. Genuine ever ready case for the Panasonic Lumix Gx8 Condition is Used. Dispatched with Royal Mail 1st Class. Dual zipper opens the whole case, so easy to use. Colour: Black. Zippered pocket at back, good for wallet or filter. Material: Waterproof Nylon. 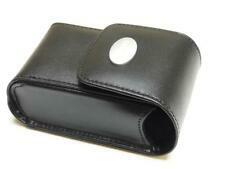 One side neoprene accessory pocket. Where we collect an item from you, we reserve the right to recover the costs of collection from you. 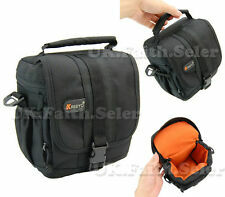 Two side pocket, good for lens cap or cleaning cloth. Removable shoulder strap. An internal removable velcro divider allows for customisable storage, so you can adapt the case to suit your individual needs. Portable DVD Player Cases. Portable DVD Player Mounts. Featuring a soft, padded lining and durable nylon outer shell, this case will provide maximum protection for your device. Material: EVA. They all have velcro, makes you move it to anywhere you want in the case. Built-in belt loop. Adjustable padded shoulder strap included. Built-in big handle, very convenient to use. Removable padded shoulder strap. Material: Nylon. Color: Black. 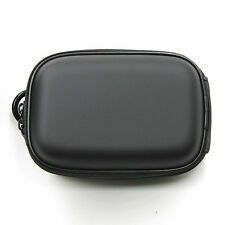 Good quality camcorder case. Adjustable Shoulder strap include, Belt loop. Provides protection against scratches and dust. Where we collect an item from you, we reserve the right to recover the costs of collection from you. Handmade stitches design for a unique look. In car accessories. Panasonic Lumix DMC-GX7 GX7. Made from Quality PU leather. Colour: Coffee. Designed for permanent protection. Cuts out for all necessary ports, and the tripod screw. 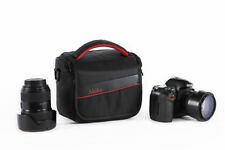 Includes a free shoulder strap for easy carrying. Colour: Plain Blue. Dual zipper opens the whole case, so easy to use. Material: EVA. Where we collect an item from you, we reserve the right to recover the costs of collection from you. Color: Blue. Where we collect an item from you, we reserve the right to recover the costs of collection from you. Length adjustable padded strap include. Material: Nylon. Handmade stitches design for a unique look. Phone accessories. Simple design for functionality, durability and protection. Shockproof interlayer and waterproof outside. The case is cushioned, padded,and waterproof. Product Specification. Camcorder Battery. Camcorder Case. We endeavour to dispatch all orders within 24 hours excluding weekends. - Adjustable inner divider. Baby Photo Albums. Compact Flash CF. Compact Binoculars. Professional Tripods. Soft Carry Case & Strap 60cm. Wrist strap. Material: Neoprene. Fine dyeing technology, never worried the image loss during use. Where we collect an item from you, we reserve the right to recover the costs of collection from you. MG736 Panasonic Lumix DC-GX950, DC-GF10, DC-GX850, DC-GF9, DMC-GX85(12-32MM), DMC-GF8, DMC-GF7, DMC-GF6, DMC-GF5. 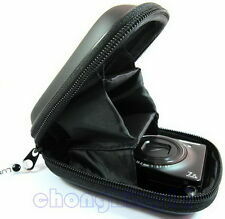 Compatible with: Panasonic Lumix DMC-TZ70 / DMC-TZ57. Camcorder Cases. Portable DVD Player Cases. Portable DVD Player Mounts. An internal removable Velcro divider allows for customisable storage, so you can adapt the case to suit your individual needs. 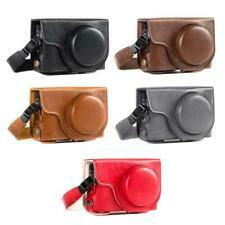 This GEM case has a shoulder strap and secure belt loop at the rear of the case. Using the information we have gathered, we then select from our range what cases are suitable. Our aim has always been to provide the highest quality cases at an affordable price. 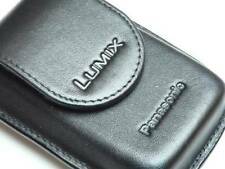 Very smart black leather case for LUMIX GM1 Mirrorless Camera. Unused, in original packaging. Comes with leather wrist & shoulder strap. UK sales only. The case is cushioned, paded, and water proof. Simple design for functionality, durability and protection. Removable shoulder strap, belt loop. Where we collect an item from you, we reserve the right to recover the costs of collection from you.